The American Cocker Spaniel is the smallest member of the Sporting Group. He has a sturdy, compact body and a cleanly chiseled and refined head, with the overall dog in complete balance and of ideal size. He stands well up at the shoulder on straight forelegs with a topline sloping slightly toward strong, moderately bent, muscular quarters. He is a dog capable of considerable speed, combined with great endurance. Above all, he must be free and merry, sound, well balanced throughout and in action show a keen inclination to work. A dog well balanced in all parts is more desirable than a dog with strongly contrasting good points and faults. Black Variety--Solid color black to include black with tan points. The black should be jet; shadings of brown or liver in the coat are not desirable. A small amount of white on the chest and/or throat is allowed; white in any other location shall disqualify. Any Solid Color Other than Black (ASCOB)--Any solid color other than black, ranging from lightest cream to darkest red, including brown and brown with tan points. The color shall be of a uniform shade, but lighter color of the feathering is permissible. A small amount of white on the chest and/or throat is allowed; white in any other location shall disqualify. Parti-Color Variety--Two or more solid, well broken colors, one of which must be white; black and white, red and white (the red may range from lightest cream to darkest red), brown and white, and roans, to include any such color combination with tan points. It is preferable that the tan markings be located in the same pattern as for the tan points in the Black and ASCOB varieties. Roans are classified as parti-colors and may be of any of the usual roaning patterns. Primary color which is ninety percent (90%) or more shall disqualify. Tan Points--The color of the tan may be from the lightest cream to the darkest red and is restricted to ten percent (10%) or less of the color of the specimen; tan markings in excess of that amount shall disqualify. In the case of tan points in the Black or ASCOB variety, the markings shall be located as follows: 1) A clear tan spot over each eye; 2) On the sides of the muzzle and on the cheeks; 3) On the underside of the ears; 4) On all feet and/or legs; 5) Under the tail; 6) On the chest, optional; presence or absence shall not be penalized. Tan markings which are not readily visible or which amount only to traces, shall be penalized. Tan on the muzzle which extends upward, over and joins shall also be penalized. The absence of tan markings in the Black or ASCOB variety in any of the specified locations in any otherwise tan-pointed dog shall disqualify. Males over 15½ inches; females over 14½ inches. The aforementioned colors are the only acceptable colors or combination of colors. White markings except on chest and throat. Primary color ninety percent (90%) or more. 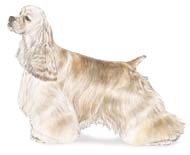 (2) Absence of tan markings in Black or ASCOB Variety in any of the specified locations in an otherwise tan pointed dog.